As I've mentioned before, my son is a fan of elephants. His lovely Texas aunt bought him a little toy elephant when we were down in Texas and that thing has stomped all over our house, slept with him, traveled with him and even gone on safari with him! We've gone on library hunts to find books on elephants (and really haven't come up with very much - so suggestions are welcomed!) and are constantly on the lookout for something fun and new. 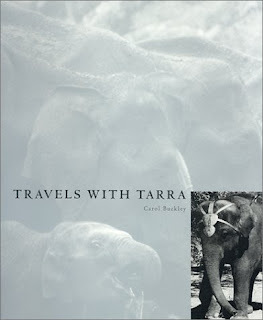 When I was contacted by reviewing the books Just for Elephants and Travels With Tarra I leapt at them! My belief that Bookworm1's eyes would light up and that he would be excited upon seeing the books was not unfounded. He was delighted. And he had no idea what the books were about, other than that they were about his favorite animal (at the moment). Just for Elephants follows the journey of Shirley, an elephant who has been injured at a zoo and is being removed to the care of an Elephant Sanctuary. Shirley had previously been injured when she belonged to a circus and that circus had sold her to the zoo. The picture of Shirley's injured leg brings a frown and a pouty look to my face so I breezed past that page with Bookworm1. Upon arrival at the Elephant Sanctuary, Shirley meets the new elephants and settles into her life of ease. This book won a Skipping Stones Honor Award and the story line raises awareness of the Elephant Sanctuary. Bookworm1 didn't really note any of that at the present moment, preferring instead to examine the elephants, how and what they did with their trunks, and the fact that we didn't see any elephants with tusks. Mommy noted the poor quality of the photographs (and not just because she is a photographer). Many of the photographs, enlarged, are really quite blurry. I did ask the publisher about this (because I really was concerned about it) and many of the photographs in the book are the original photos taken of Shirley and during her journey. Instead of recreating the story and updating the photographs, they really wanted to stay true to the story. I can totally respect that. At the same time, looking at these photographs for any legnth of time starts to give me a headache and so I'm not altogether wildly enthusiastic about Bookworm1 spending too much time with it. Sure, looking at the elephants is grand fun and learning about Shirley is also interesting. It's a pity that the person holding the camera during the initial adventure was not better versed in their photographic skills because the photographs really could have stood out and complimented things nicely. 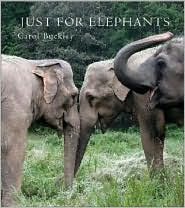 In Travels With Tarra we meet Carol Buckley, the author of the book, who met her first elephant and fell in love with it when she was in college. She volunteered to help care and train this elephant, named Tarra, and spent the next twenty years they traveled with one another performing tricks and acts. (Tarra even learned to rollerskate!) Buckley began dreaming about creating an Elephant Sanctuary and the rest, as they frequently say, is history! Tarra was eventually moved to the facility which you can learn more about by visiting the website. Utterly fascinating both to mommy and boy. Apart from the blurry photos, these books are a real treat. That's too bad that the photographs were grainy. Thanks for visiting. I love elephants. Outside of horses, elephants are my favorite animal. I collected elephants throughout my teens. Based on my love of elephants alone, I am going to check out these books. Based on your opinions of the photos...I feel that could be a disappointment. We have the magazine ZooBooks the one that features elephants. This is wonderful. 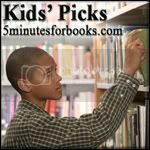 You may want to check out ZooBooks for Bookworm1. I just saw that they have boardbooks, I am going to check those out for my 3 year old. Hmmm I'm trying to think of more Elephant books. That's neat that he has such an interest, and elephants really are pretty cool animals. Aw, very cool. Don't you love how they latch on to something -- an animal, a vehicle, whatever -- and just love it? It's so neat to be able to feed and encourage that passion with books!